I’ve received a bunch of emails from people having WordPress HTTPS problems. In this tutorial, I’ll show you how to setup a WordPress HTTPS site, fix Google HTTPS errors, get the cheapest SSL certificate and more. 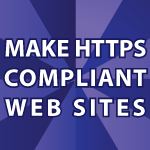 It sounds like allot of work, but it is actually very easy to make your site HTTPS compliant. If you’re getting the Google Chrome Error : Google Chrome has detected either high-risk insecure content on the page or problems with the site’s certificate I’ll fix that too! To make your WordPress site HTTPS compliant, you need a SSL certificate. SSL certificates range in price from $13 to $100, but you just want the cheapest SSL certificate that works. Go Daddy has a $12.99 SSL Certificate that is Google compliant. If you want to find other Google Accepted SSL Certificates look here for the complete list. I trust you can set up your SSL certificate. If not leave a comment below. Now that you have your SSL certificate, you are probably seeing the error that has https crossed out on your site? It is extremely easy to correct this WordPress https problem however. You are getting this error Google Chrome has detected either high-risk insecure content on the page or problems with the site’s certificate, because you have a stray http:// link somewhere on your site. Follow the following instructions to fix that. First open your WordPress Dashboard by going to yoursite.com/wp-admin and logging in. Then click on Settings and General in your left sidebar. Then you want to change the address in WordPress Address (URL) and Site Address (URL) to the https:// version of your site. WordPress will now change nearly every link on your site from http to https! If you are lucky, your site may be HTTPS complaint now, but maybe not 🙁 If it isn’t get yourself the Firefox Browser and the FireBug plugin for Firefox. This is how you fix https problems on any site, even non-Wordpress sites! Now it’s time to hunt down those stray http links. Go to your site and right click anywhere on the page and click Inspect Element with Firebug. When you do this FireBug will open at the bottom of your screen. Stretch it up so that it fills at least half of your screen. Now click the Net tab in FireBug and the All button under it. If you don’t see anything pop on the screen, hit the Reload button on the browser. Now you should see this. Drag your mouse over everything in the list and look for any links that aren’t https://. Every single one on the page must be a https:// link for your site to be 100% compliant. After you have found the offending links, go into the WordPress Editor and change them from http to https. 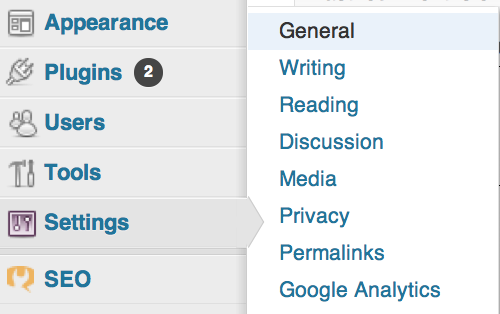 You can access the WordPress Editor by clicking on Appearance and then Editor in your Left Sidebar in WordPress. If you don’t know how to do this leave a comment below. The above steps should solve your issues 99% of the time. If you are still getting the Google Chrome error you may just have to wait for Google to catch up and fix the error, or you may need to clear your cache? If you want to make sure you con’t have any stray http links, in your browser click View and View Source on your home page. This is how you do that with Google Chrome. Now you’ll be able to find any sneaky http links. If you are using a WordPress site, these bad http links are normally there because of a bad plugin. You may also find my WordPress Shopping Cart Tutorial useful. It is a 100% free hopping cart that does everything imaginable! Hello! I loved your video! I’m trying to SSL a wordpress. and I’m having issues. I was wondering if you could help me / assist me? I change HTTP to HTTPS from wordpress admin setting and click save. I not able to access my wordpress admin now and cannot see anything at my website. How do i change back from HTTPS back to HTTP? How to i getting access again my wordpress admin? How to solve this? It seems the Google accepted SSL certificates link is already broken. Do you have an updated one? Thank you.